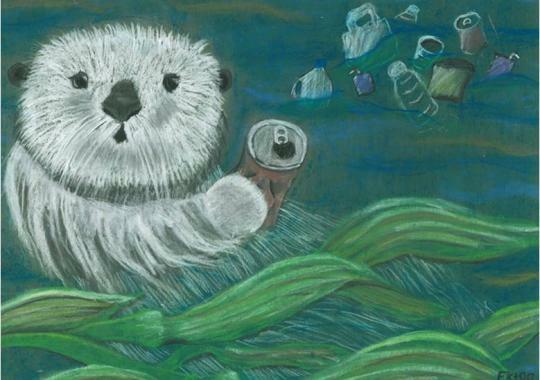 The artwork featured here (and in the 2011 Marine Debris Planner) are all original and created by students from across the United States in grades K through 8. Students were asked to answer two simple questions: How does marine debris impact you? What are you doing about it? Winners were chosen based on creativity, artistic presentation, relevancy to the theme, and how thoroughly students answered the two questions.